For those who need an extra dose of Marvel Avengers like us after watching the latest flim, we have a solution! 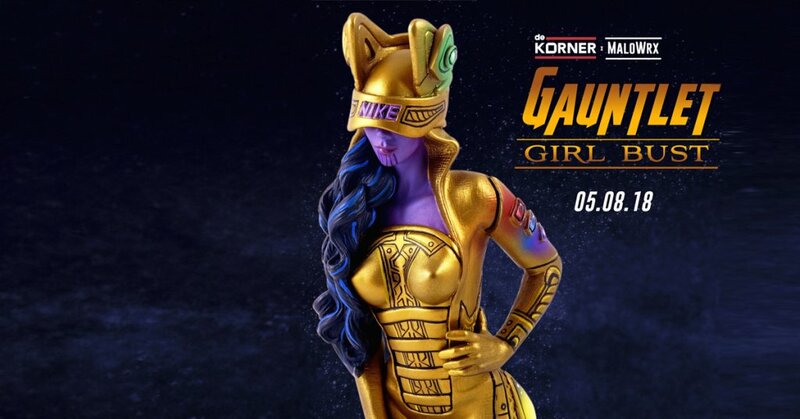 Well, we don’t but De Korner x MaloWrx (Mike Mendez) does with their “Gauntlet Girl”! is it Thanos long lost Mrs? Mike Mendez works his magic giving the Infinity War theme over Reina Koyano 3D Retro’s “Mag Girl” giving a different look that might make Thanos go a little wild. Only 10 have been customed and this week will be your chance to own one! Made to order limited to 10. Episode 3 of Toy Geeks Behind The Counter is up now! featuring REINA who joins BEN, JACK and MITCH talking about some awesome toys and not so awesome toys which features AIR MAG GIRL!